Can cleaning products cause people to develop asthma? 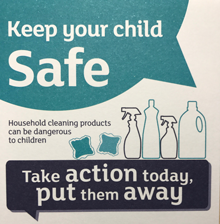 The evidence does not support the idea that using cleaning products to clean your home brings with it a risk of developing asthma. So you don’t need to worry on that score. Many people who have asthma find cleaning, and using cleaning products, can sometimes help trigger symptoms, but on the other hand experts agree that maintaining a clean living environment helps minimise asthma symptoms by removing allergens and other ‘triggers’. Use cleaning products sensibly according to the instructions and open windows if you feel that helps. 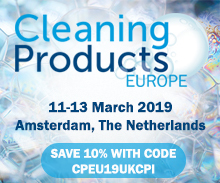 The idea that cleaning products might be a factor in some people developing asthma, or similar respiratory conditions, comes from studies of people who work as cleaners. Compared to office workers, for example, where around 2 people in 1000 develop asthma in a year, there are 3-4 cases among cleaners. Of course, many other lifestyle factors could be involved here, and asthma is well known to be more prevalent among less well off groups. Some people who work as professional cleaners have developed occupational asthma by becoming sensitized to specialised ingredients used in products for cleaning hospitals etc. Many of these ingredients have now been superseded or exposure has been controlled such that risks are minimised or avoided. Such potentially sensitizing ingredients are not used in products you buy to clean your home. It’s also clear that some cleaners who develop occupational asthma, maybe the majority, have in fact become sensitized to substances in the place they are cleaning, including mould, rather than to anything in a product. More detailed studies on professional cleaners with respiratory problems show these aren't linked to being atopic (prone to atopic allergies) so asthma among professional cleaners is nothing to do with the sharp rise in allergies among children. It’s also clear that the problems sometimes stem from accidents or the misuse of products. In Spain, where cleaners have been repeatedly studied and increased risks found, bleach is not only widely used but often misused by mixing with other products. Yet Spain, which has the highest level of bleach use in Europe, has much less asthma among the general population that most other countries. In Scandinavia, where bleach use is low, asthma rates are high.